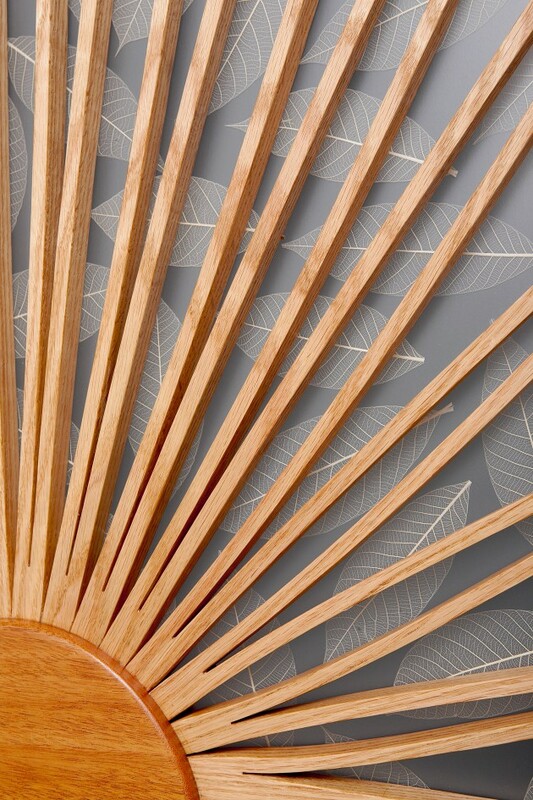 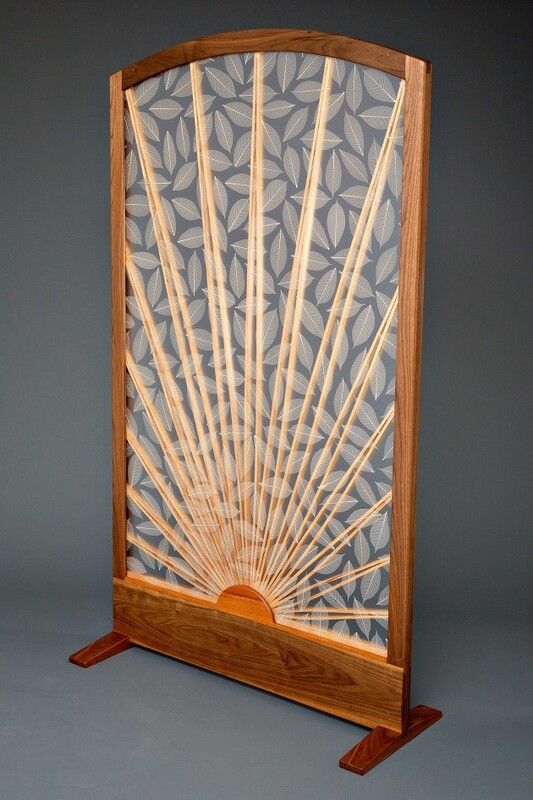 A screen that defines space in a room without minimizing light, the Sun and Leaf Room Divider features a resin panel with leaves set against rays of sustainably harvested hardwood red oak radiating from a dyed salvaged mahogany center. 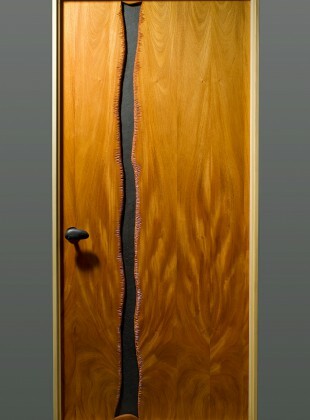 Framed in walnut. 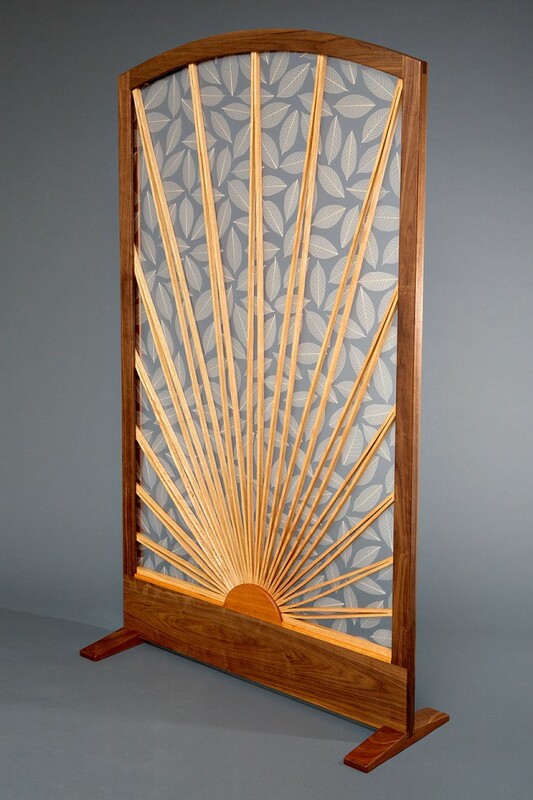 Custom room divider screen configurations with hinged panels, as well as the Sun and Leaf Sliding Door or hinged doors are options available with this design. 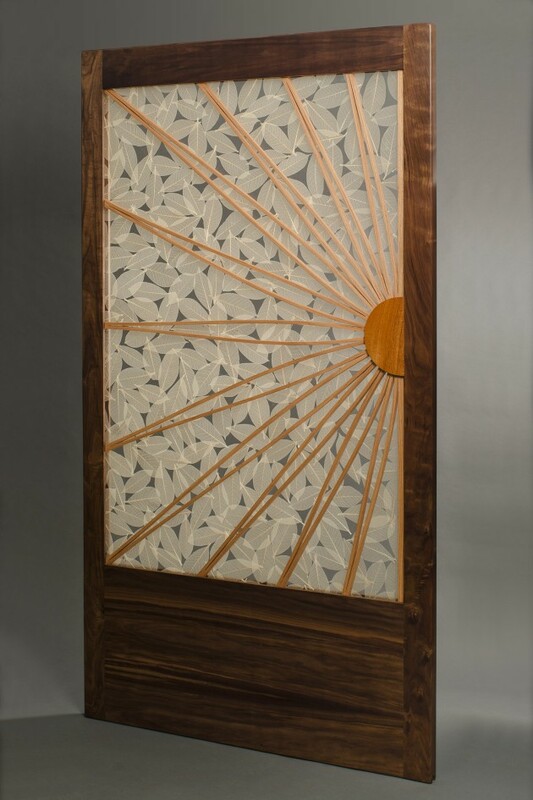 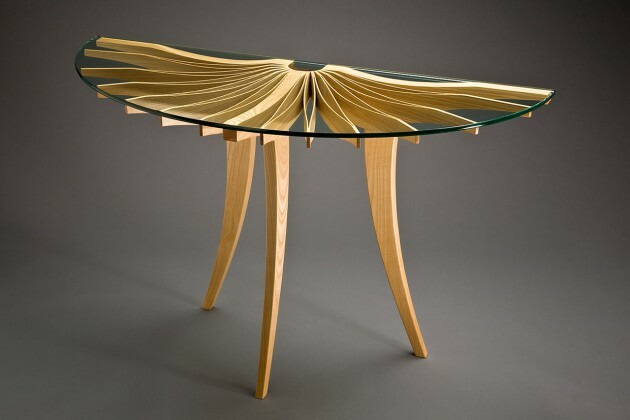 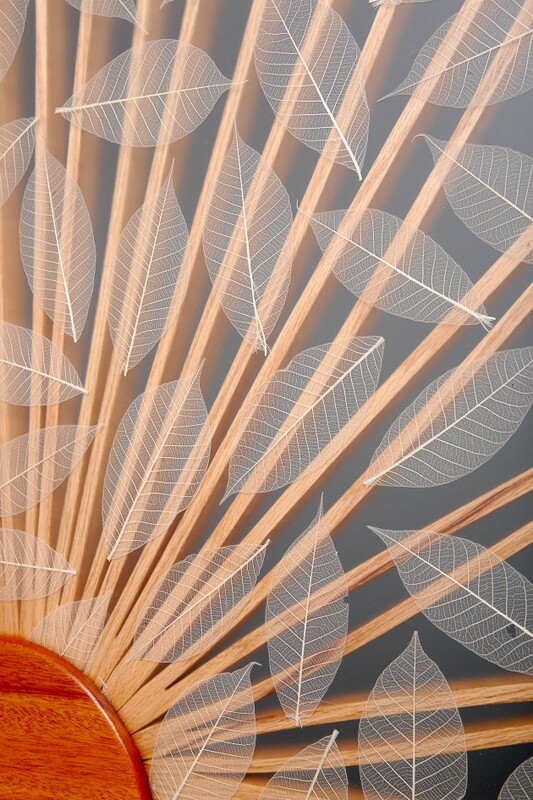 Sustainably harvested red oak, walnut and mahogany, dye, resin panel with skeletonized magnolia leaves.